With Christmas right around the corner, it is time to start dreaming up a menu, making a shopping list and prepping anything you can ahead of time to make quick work of your holiday meal. If just the thought of all that leaves you more than a little exhausted, you may benefit from hiring a professional catering service for your Christmas party. With professional catering, you can treat your guests to an incredible array of delicious foods without having to lift a finger. Explore all the benefits of hiring professional catering for your Christmas party to see if this is the right option for you. You can trust that your catering team will wow your guests with delicious main dishes, sides and desserts. Your selected meal will arrive on the table piping hot and ready to eat, as the catering team has made the dishes to perfection so many times before. In fact, your catering team will even bring the buffet and condiment tables to you and set up the meal, condiments and paper products. All that will be left for you to do is relax and enjoy your time with all the guests at your Christmas party. 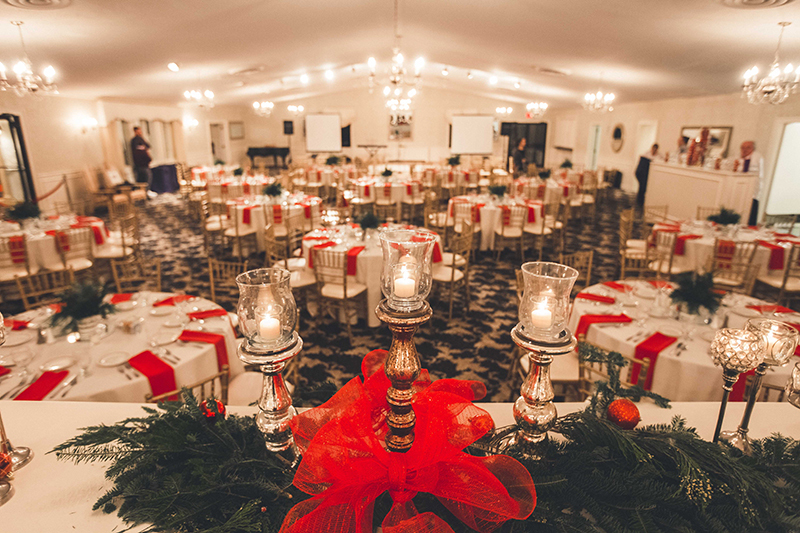 With the meal planning, prep and setup handled for you, it is possible to enjoy the festivities at your Christmas party without having to worry about the details. You can sit back and talk the night away with your guests as your catering team brings the meal to the tables and cleans up afterward. You do not need to spend the evening running back and forth from the kitchen, ensuring that all your guests have what they need to enjoy their meals. Your catering team will have all that handled, so you can socialize and make the most of your time together. Professional catering makes room for pairing new traditions with the old. Your switch to professional catering can free up time for the old traditions, such as games and activities, that you may have missed out on while playing host to your guests. Ask your family members what elements of the party they are missing to see how you can spice up your festivities. Nothing sets a warm, welcoming atmosphere better than a table full of amazing food to share with your friends, family and neighbors. Your catering team will ensure that your party has this vital element as a focal point for your guests. The buffet and condiment tables full of delicious items will help make your guests feel right at home. With so many menu options available, professional catering allows you to add variety to your holiday spread. You can select a base menu with the main dishes and sides you want to serve, and then add other dishes to your spread to add variety. Your additions can increase the number of starters you serve your guests or simply add to the main dishes and sides. If you are ready to overhaul your Christmas holiday and amplify your enjoyment of the festivities this season, hire a professional catering team to help you out. Our team at Woodman’s can help you make the most of your Christmas festivities this holiday season. Give us a call at 800-649-1773 to learn about our catering menu options and services. Ask about our famous clambakes, barbecues and fried clams to learn how we can elevate your celebrations with great food.